The Exo-Terra Reptile Caves are realistic, yet light-weight and come in several different sizes. In a terrarium habitat, a cave-like area is very important to the mental and physical wellbeing of the creatures living in it. Caves provide a stable and secure spot for the animals to hide and sleep, as well as providing an area of the habitat that is cooler. 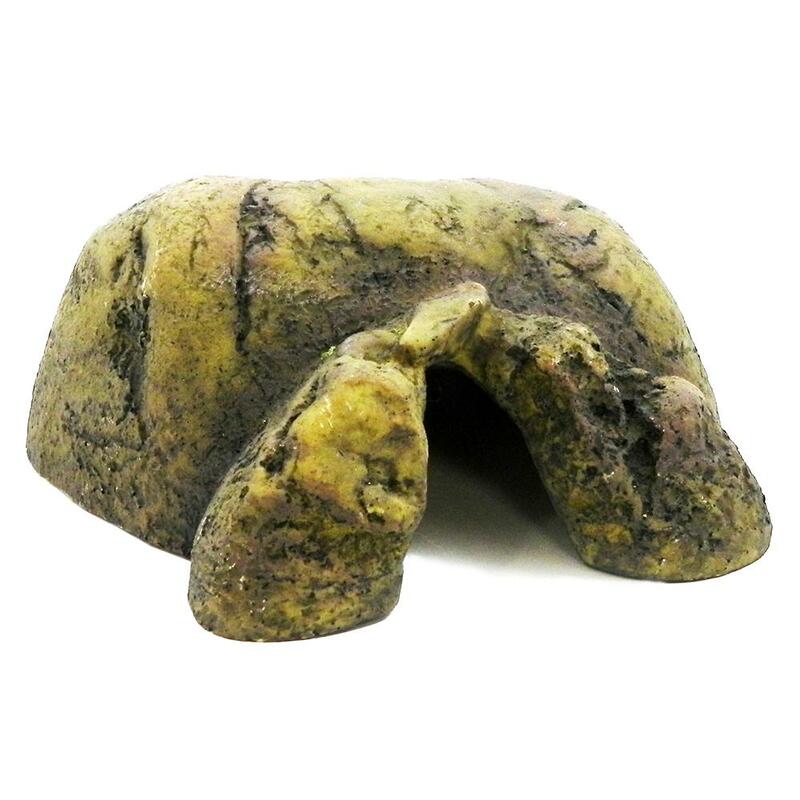 Exo-Terra Medium Reptile Cave measures about 8 x 7 x 3-inches overall. Product may vary slightly from image.